Egypt's Grand Mufti Shawki Allam cast his vote on Saturday morning, in a referendum on some proposed constitutional amendments - TV ScreenshotAzhar Grand Imam Ahmed al-Tayeb voted inside a polling station of a school in Cairo's HeliopolisAzhar Grand Imam Ahmed al-Tayeb voted inside a polling station of a school in Cairo's HeliopolisCAIRO – 20 April 2019: Egypt's Grand Mufti Shawki Allam cast his vote on Saturday morning, in a referendum on some proposed constitutional amendments, inside the polling station of Al-Hussein Preparatory School in Cairo.The participation in the democratic entitlements is a national duty for all Egyptians, Allam said following the vote. He also called on the Egyptians to exercise their right to vote, as it indicates their awareness.Also, Azhar Grand Imam Ahmed al-Tayeb voted inside a polling station of a school in Cairo's Heliopolis.Pope Tawadros II of Alexandria and Patriarch of Saint Mark Diocese also cast his ballot in Cairo's El Waily district.The first day of the referendum kicked off in Egypt, where polling stations across governorates have opened their doors at 9 a.m., and will close at 9 p.m. for three consecutive days.TV channels showed queues of voters at some polling stations waiting minutes before the doors were opened and they were allowed in to cast their ballot by either agree or disagree on a set of proposed constitutional amendments passed by the parliament Tuesday.A number of societal dialogues were held over the past weeks attended by various segments and experts in the country, to discuss the amendments ahead of a plenary session at the House of Representatives, where parliamentarians voted for passing them.A total of 61 million eligible voters were called for casting their ballots in the public referendum on the constitutional amendments. A number of women of the Salafist Nour Party urge before the polling station – Press photoMany members of the Islamist Salafist Al-Nour Party cast their vote - Egypt TodayMany members of the Islamist Salafist Al-Nour Party cast their vote - Egypt TodayCAIRO – 20 April 2019: Many members of the Islamist Salafist Al-Nour Party, which earlier rejected the constitutional amendments proposed, have casted their vote in different governorates in a referendum on these amendments. "In addition to voting, we have a role represented in mobilizing citizens to attend and vote in the referendum on constitutional amendments through cars [provided by] the party," said Mohamed al-Sagheer, the secretary of the party in Aswan.Ahmed Khali, an MP of the party, earlier announced his party's rejection of the word "civil state" in one of the articles meant to be amended. However, the amendment was passed despite the party's objection. Subsequently, the party announced backing the amendments. 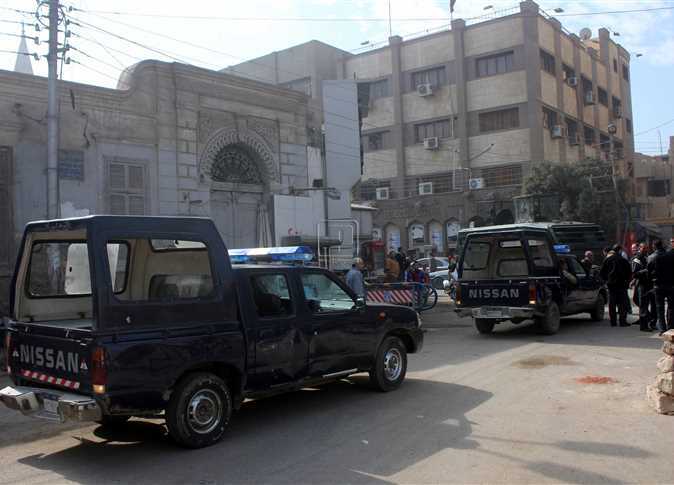 Polling centers in Egypt received their voters on Saturday at 9 am for the referendum on the constitutional amendments, which the parliament passed on Tuesday with a majority of 531 MPs. Egyptian President Abdel Fattah al-Sisi cast his vote in the referendum on the constitutional amendments at Martyr Mostafa Yousri Emeira School in Heliopolis, in the first moments of voting in Egypt. Nearly 61.34 million Egyptians are eligible to vote in the referendum in 368 constituencies with 10,878 polling centers across Egypt. Thousands took to the polling centers to cast their votes, mostly women. Egyptian Prime Minister Mostafa Madbouly also cast his vote in the referendum on the constitutional amendments at al-Sheikh Zayed Hosteling Secondary Advanced School. Citizens queuing up in front of a polling place in Awsim in Giza governorate to cast their ballots in the referendum on draft constitutional amendments held on April 20 - 22 for resident Egyptians. April 20, 2019. The parliament passed a draft to amend and add 25 articles to the constitution. The number of polling places is 10,878. The minister urged Egyptians to vote stressing that their participation is a national duty.Minister of Culture Inas Abdel Dayed has cast her ballot in Abou Bakr Al Sediq School located in Sheikh Zayed. Adly Mansour casts voteAdly Mansour casts voteAdly Mansour casts voteCAIRO – 20 April 2019: Adly Mansour, Former Acting President of Egypt, cast his vote in the Egyptian referendum on constitutional amendments on Saturday, April 20, 2019.Mahmoud El-Sherif, Deputy Chairperson of the National Elections Commission and Official Spokesperson, said that those working in different governorates to which they are registered can vote in any sub-committee on the referendum. He explained that through the national identification card or passport, individuals can vote in any polling station.The spokesperson also said in a statement to the Middle East News Agency on Friday that the Authority has taken measures to facilitate citizens and to prevent the recurrence of the vote through the use of phosphorous ink, as well as review the final database of voters and take legal action against those who exceed the frequency of voting.The voter database is available to be accessed through the Commission's website on electoral centers, subcommittees and lists, indicating that the database is constantly being updated.He added that the number of general committees to vote for Egyptians inside is 368 committees, which include 10,878 polling stations and 13,919 sub-committees, stressing that it is important for those eligible to vote to do so, noting that there will be a LE 500 fine for those who do not vote.Lashin Ibrahim, Head of the National Electoral Commission and Vice-President of the Court of Cassation, called on voters whose names are registered in the voters' database to participate in the constitutional referendum. The elections will take place outside Egypt on Friday, Saturday and Sunday, April 19-21, And on Monday, 20, 21 and 22 April.Of those eligible to vote, 61,344,503 voters, 50.37% are men and 49.63% are women.The referendum process is subject to full judicial supervision, with 19,339 judges (basic and reserve), of whom 15,324 are actual judges at the ballot box. FILE – Person’s hand reading braille language - ReutersCAIRO - 20 April 2019: Egyptians blind will be able to cast their vote unassisted for the first time after ballot papers were printed using Braille method as the first day of the referendum on the constitutional amendments in Egypt kicks off Saturday.Braille ballot allows blind people and those who have low vision to read documents through touching raised dots representing the letters of alphabet.In December 2017, “Alashan Tbneeha” (To Build It), a former campaign that backed President Abdel Fatah al-Sisi, issued forms in Braille giving blind citizens the chance to participate in demanding that Sisi runs for a second term as president of Egypt.The first day of the referendum kicked off in Egypt, where polling stations across governorates have opened their doors at 9 a.m., and will close at 9 p.m. for three consecutive days.Printing Braille ballot papers comes as part of the efforts exerted by the NEA to facilitate the voting process for people with disabilities. Sherif said that the NEA decided to enable the disabled citizens to vote in ground floors of polling stations that are close to their houses.According to information announced by the NEA, the number of registered voters is 61,344,503; the number of male voters is slightly bigger that those of females. The voters can cast their votes in 13,919 polling subcommittees. Over 15,000 judges will supervise the voting process, according to information obtained by Egypt Today.Head of the NEA Lasheen Ibrahim urged the citizens to accompany their children, enjoy their constitutional right, ignore the boycott calls, and cast their ballot in polling stations nationwide.There will be a judge to supervise each of the ballot boxes, Ibrahim said, affirming that the NEA, the body charged with managing the electoral process, is keen to ensure the transparency of the voting process.The approved amendments expand each of the two presidential terms allowed for any president to six years instead of four, while a separate transitional article gives an exceptional right to incumbent President Abdel Fatah al-Sisi, who was re-elected in 2018, to run for a third 6-year term after he finishes his second term in 2024 instead of 2022.The amendments also give the president the right to choose heads of courts, judicial bodies, the Supreme Constitutional Court, and the Attorney General from some nominees. He would also appoint one third of the members of the Shura Council, which was revived, this time under the name "The Senate." Women voting in the referendum on April 20, 2019Woman voting in AlexandriaCAIRO – 20 April 2019: A few hours into voting on the constitutional amendments, it is clear that Egyptian women are the highest turnout so far. Women from all over Egypt have gone to submit their votes in the referendum.It seems that, as always, women are taking the lead in securing the future of the country by putting their opinion forward, and saying what they believe.Women in Alexandria have gone out in especially high numbers. 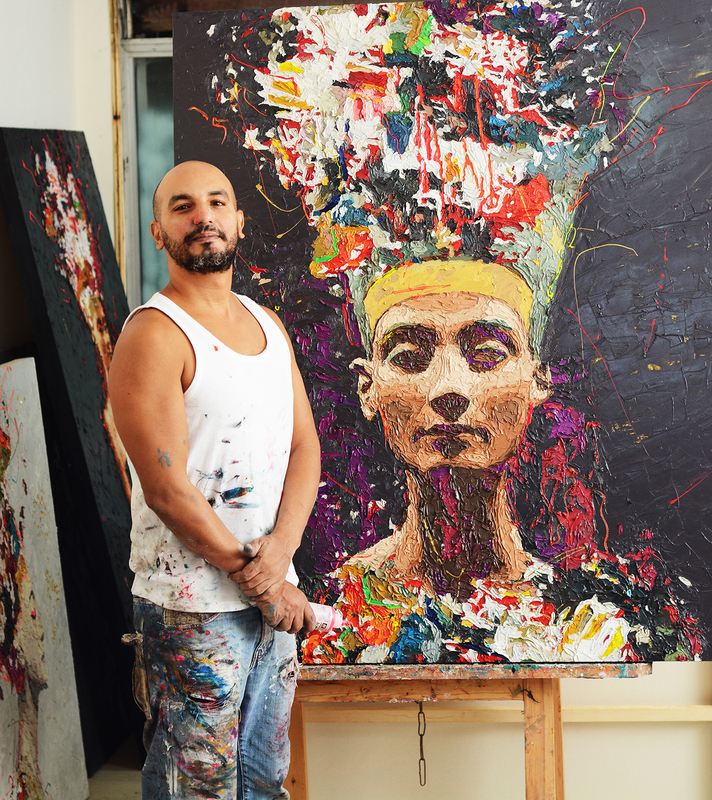 Egyptian artist Hossam Dirar has opened up a new exhibition centered around Queen Nefertiti in Zamalek, aiming to honor not just the historical figure but modern Egyptian women as well. Queen Nefertiti is embodied in Dirar’s repertoire of paintings through modern poses, accessories and daring colors. Treading the line between a victorious grasp of the ancient Egyptian history with the rosiness of the Egyptian women’s future, Dirar’s Nefertiti is painted with dignity and pride. Dirar has been always greatly passionate towards female freedom and rights, and so he couldn’t find a better model to signify this passion than Queen Nefertiti. 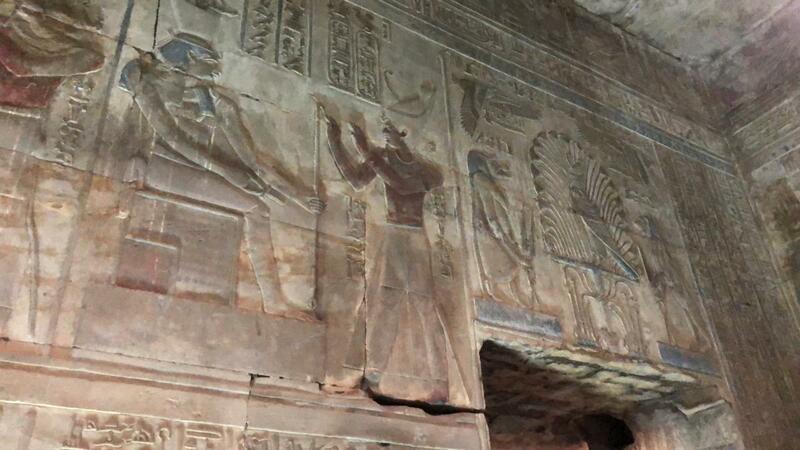 He want to draw attention for the existence of the captivating ancient culture by exposing the ancient Egyptian calligraphy in his art. Pope Tawadros II of Alexandria and Patriarch of Saint Mark Diocese cast his ballot in the referendum on the constitutional amendments in Cairo's El Waily district - Press photoCAIRO - 20 April 2019: Pope Tawadros II of Alexandria and Patriarch of Saint Mark Diocese cast his ballot in the referendum on the constitutional amendments in Cairo's El Waily district.In a statement after voting, the pontiff expressed his pleasure over participating in the referendum, saying that the amendments were carefully considered by the parliament.The pontiff described participation in the referendum as a citizenship right.He called on citizens to participate in the referendum and express their opinions in full freedom, confirming that voting on the constitutional amendments is a national duty. Prime Minister Mostafa Mabdouli vote in referendum on 1st voting day - Mohamed Hosary/Egypt TodayPrime Minister Mostafa Mabdouli vote in referendum on 1st voting day - Mohamed Hosary -Egypt TodayPrime Minister Mostafa Mabdouli vote in referendum on 1st voting day - Mohamed Hosary -Egypt TodayPrime Minister Mostafa Mabdouli vote in referendum on 1st voting day - Mohamed Hosary -Egypt TodayCAIRO - 20 April 2019: Prime Minister Mostafa Madbouli cast his ballot on the first voting day of the referendum, Saturday, on a set of proposed constitutional amendments passed by the parliament Tuesday.After voting, Madbouli gave press statements encouraging Egyptians to participate in the referendum, and practice right to vote on the constitutional amendments.He further said "holding a referendum on the constitutional amendments is a message to the world ensuring political stability in Egypt. "Madbouli voted in Sheikh Zayed district, 6 of October city.Armed Forces and the Ministry of Interior have beefed up security measures in the streets, around vital facilities and at schools assigned to host referendum process across the country, as Egyptians at home start the first voting day on Saturday.The first day of the referendum kicked off Saturday in Egypt, where polling stations across governorates have opened their doors at 9 a.m., and will close at 9 p.m. for three consecutive days.A total of 61 million eligible voters were called for casting their ballots in the public referendum on the constitutional amendments. Security forces outside polling stations - Amr Mostafa/Egypt TodaySecurity forces outside polling stations - Amr Mostafa/Egypt TodayArmed and security forces outside military and vital facilities as first voting day in referendum in Egypt kicks off - Press photoArmed and security forces outside military and vital facilities as first voting day in referendum in Egypt kicks off - Press photoArmed and security forces outside military and vital facilities as first voting day in referendum in Egypt kicks off - Press photoQueues of voters lined up outside polling stations in Giza to vote in referendum - Photo by Karim Abdel Aziz/Egypt TodayQueues of voters lined up outside polling stations in Giza to vote in referendum - Photo by Karim Abdel Aziz/Egypt TodayCairo - 20 April 2019: Armed Forces and the Ministry of Interior have beefed up security measures in the streets, around vital facilities and at schools assigned to host referendum process across the country, as Egyptians at home start the first voting day on Saturday.The armed forces have ensured all forces participating in security measures are aware of the tasks assigned to them to protect and secure citizens heading to polling stations, and to confront any threats that might encounter the voters during the referendum process.The armed forces is expected to release statements detailing the way the forces secure polling stations in coordination with police forces, and all measures taken in this regard. surveillance aircrafts and vehicles supported with live streaming techniques are used to provide a live update on the referendum, and to report any problem spotted during the voting process to the main military operation chamber in order to solve it.The first day of the referendum kicked off in Egypt, where polling stations across governorates have opened their doors at 9 a.m., and will close at 9 p.m. for three consecutive days.TV channels showed queues of voters at some polling stations waiting minutes before the doors were opened and they were allowed in to cast their ballot by either agree or disagree on a set of proposed constitutional amendments passed by the parliament Tuesday.A number of societal dialogues were held over the past weeks attended by various segments and experts in the country, to discuss the amendments ahead of a plenary session at the House of Representatives, where parliamentarians voted for passing them.A total of 61 million eligible voters were called for casting their ballots in the public referendum on the constitutional amendments. Egyptian expats in Australia head to cast their vote in referendum for second day - Egypt TodayEgyptian expats in Australia head to cast their vote in referendum for second day - Egypt TodayEgyptian expats in Australia head to cast their vote in referendum for second day - Egypt TodayEgyptian expats in Australia head to cast their vote in referendum for second day - Egypt TodayEgyptian expats in Australia head to cast their vote in referendum for second day - Egypt TodayEgyptian expats in Australia head to cast their vote in referendum for second day - Egypt TodayCAIRO - 20 April 2019: Egyptian expats headed on Saturday to embassies and consulates for the second day to cast their vote in the referendum on a set of proposed constitutional amendments.A number of consulates have opened their doors to continue the three-day referendum process abroad, which kicked off on Friday. The first embassies to open was in New Zealand and Australia.Egyptian nationals in China have also started flocking to the Egyptian embassy in Beijing for the second day of referendum. The first day of voting has reportedly seen many Egyptians at the polling stations abroad.A total of 61 million eligible voters were called for casting their ballots in the public referendum on the constitutional amendments.Egyptian expatriates started a three-day voting on the new constitutional amendments in 140 embassies and consulates of 125 countries worldwide, amid massive campaigning for the amendments abroad and domestically.“The referendum on constitutional amendments will be completely supervised by the judiciary,” said Judge Lasheen Ibrahim, head of the National Election Authority, at a press conference held at the headquarters of the State Information Service in Cairo’s Nasser City district. “There will be a judge at every ballot box. The media and civil society will be able to follow the process.”Polls will be open Saturday through Monday to vote on the new amendments, which would increase the presidential term from four to six years, allocate 25 percent of parliamentary seats to women, and re-introduce the Shura Council under the name The Senate.Egypt’s Ministry of Migration dedicated hotlines for Egyptian expatriates to receive any complaints or questions related to the three-day public referendum.Egyptian expatriates could contact the Ministry of Migration on the following phone numbers: +201289850655/ +201017071810 / +201159476593.They also can contact the ministry via mail: Info.elections@emigration.gov.eg , the minister said in a statement on Thursday.